Of all the non-athletic sports, fishing is probably the one gamers are the most familiar with. It’s been featured as a mini-game in innumerable titles stretching back to the early days of the hobby. There’s not that much in the way of fully featured fishing games however, Steam only offering a few titles not including games with fishing mini-games in them. That’s something Bit Golem are looking to change with Ultimate Fishing Sim, just out of Early Access. Is this a whopper worth getting up early for, or should it be thrown back in? 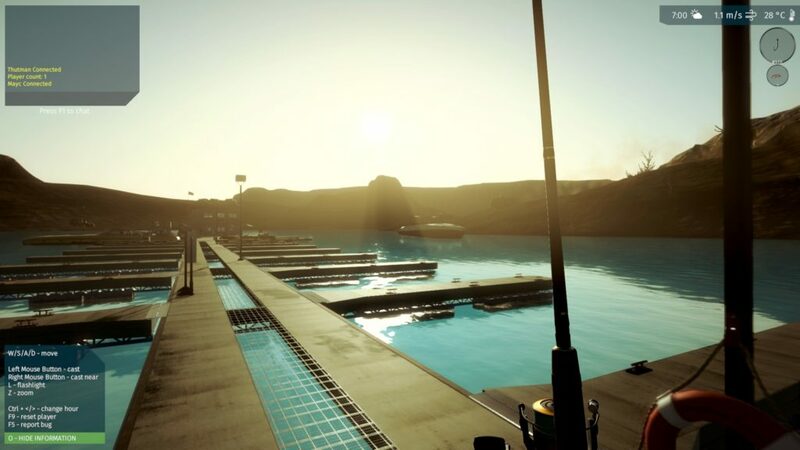 Like many simulator titles, Ultimate Fishing Sim foregoes any sort of setup or plot. You are here to fish, that’s it. You start off with a single level, a fully completed rod of low quality parts, and a handful of bait. From that you’ll need to catch fish, deciding if you want to sell them for cash or throw them back for a larger experience bonus. Once you’ve amassed enough capital you’ll have the opportunity to purchase additional pieces of equipment and levels. There are a few different types of fishing to experience. First is the fairly traditional float fishing, where you cast your line with a bobber or floater attached, then wait for a bit to pull the floater under while you reel in the fish. 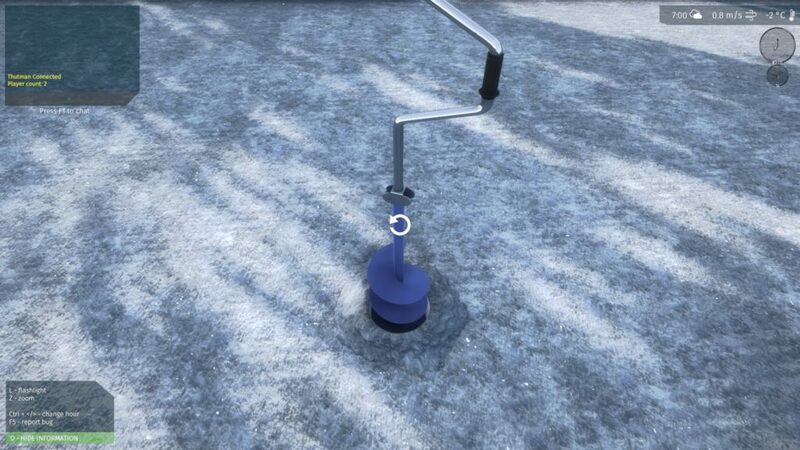 Next is ice fishing, which you’ll need to buy an auger for to allow you to drill your hole. Then there’s fly fishing, which works a little differently with you casting and reeling the line more directly. All of these control easily enough with the default mouse and keyboard mappings, or can be customized if you so desire. Ice fishing is probably the standout for worst mode, with you simply moving the line up or down with no real involvement. As for actual game modes there’s two different options. For anyone looking to jump straight into things there’s Normal mode, which has you pretty consistently catching fish anywhere you cast. This also allows for the use of an underwater camera and more forgiving controls when reeling in. If you’re looking for something more challenging there’s also Realism mode, which removes most of the HUD and the underwater camera, and the positioning of your casts has more of an effect on fish. All of this is fine and good, but there’s really no getting around how boring the game can be most of the time. There’s a very good reason fishing is often a side activity in larger games, because on its own there’s just not all that much to it. Going through the same motion of casting and reeling over and over again with little tangible reward just isn’t that fun after a while. Anyone who’s played something like Final Fantasy XV or Yakuza 0 will probably just want to return to those titles, since there’s far more to see and do outside of fishing when it starts to get repetitive. There’s also an RPG mechanic to the game but none of the skills seem to do anything whatsoever, save the one that lets you drive a boat and the skill to drill a hole, so leveling feels like a waste of time. Moreover, the game is just buggy. It’s gotten better since the 1.0 release, and there have been constant updates, but there are still issues. On one map that lets you drive a boat, without fail every cast would go haywire and end up out of bounds. Clipping on the fish is really awful and they would constantly run through the map geography. The controls would also occasionally lock up and sometimes strafing left would turn the entire world upside-down, however those issues appear to have been fixed. later levels let you drive a boat, but that does little to alleviate the boredom. Graphically Ultimate Fishing Sim is mostly just fine. The levels look alright but not spectacular, the lighting is alright but not spectacular and the fish are alright but not spectacular. Where it really does shine though is the detailing on the rods and the water, both of which are downright impressive. The fishing line has complete physics and it’s fascinating to watch the reel respond in real time in an incredibly realistic manner, while the line itself creates ripples on the water. The audio for Ultimate Fishing Sim is totally bare-bones. There’s only music in the main menu, although there’s an option to steam internet radio stations for background noise should you choose. Other than that there’s some light ambient audio and the whirring and whizzing of your rod. Despite being mostly online there didn’t appear to be any options for voice chat and there’s no in-gaming voice acting whatsoever. Overall, it’s difficult to recommend Ultimate Fishing Sim. For what it’s worth it does provide a fishing experience more detailed than most other games. But a really detailed boring game is still boring at the end of the day, and virtual fishing just isn’t an exciting prospect. If you’re absolutely hard up for a fishing experience and you don’t want any other gameplay getting in the way then this is the title for you, otherwise anyone else is probably better off sticking with more involved game. A fishing game about fishing, and every bit as exciting as that sounds. Andrew Vandersteen has been watching movies and playing games since before he could do basic math, and it shows. But what he lacks in being good at things, he makes up for with opinions on everything nerd culture. A self described and self medicated audiophile and lover of anything and everything really, really terrible, he's on a constant quest to find the worst things humanity has ever published. He's seen every episode of The Legend of Zelda, twice, and thinks the Super Mario Movie was a war crime. When he's not playing games or writing about them, he's messing around with audio or fixing computers. Perpetually one paycheck short of breaking even, and always angry about something.